Advancement of scientifically based sports nutrition supplements is designed to enhance athletic performance and promote optimum health and well being. AST Sports Science supplements are based on scientifically supported research to to produce cutting edge supplements that give you serious results. AST Sports Science are a unique kind. AST demand more and so do you. If you train harder for a hour then most people do in a year, then AST products are for you, as they are committed to bring you the best. 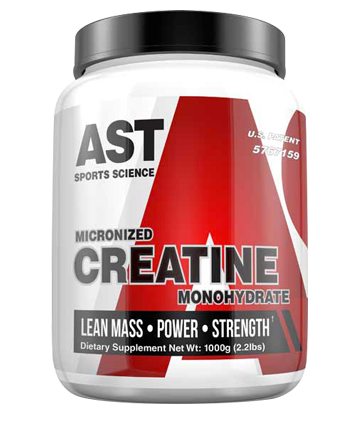 AST SPORTS SCIENCE offer state off the art performance products to enhance metabolic pathways to increase perfomance. AKA the real deal. AST Sports Sciences goal is to bring you the most effect supplementation with out the claims and no effects. AST bring you the goods and more. They have a great range of Protein Powder, Hydrolysed Protein, Creatine, Glutamine supplements and more, all sourced from the worlds best raw ingredient manufacturers. AST are famous for AST VP2 whey protein, which is a 100% hydrolyzed protein. VP2 was for a long time regarded as the best absorbed protein powder in the world. 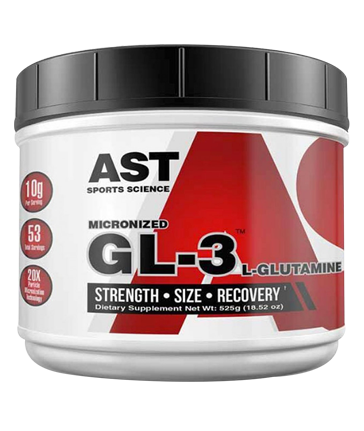 AST also make AST GL3 L-Glutamine in a crystalline powder form and AST micronised creatine monohydrate.